Dice aloo (potatoes) into a fairly large dice - 3/4 to 1 inch cubes. 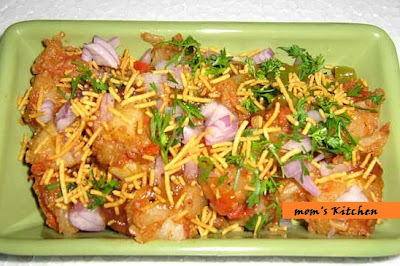 Serve, with toothpicks, in individual bowls, garnished with coriander leaves. 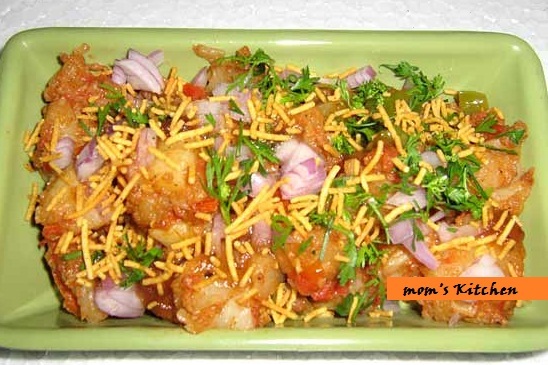 You can also additionally garnish the special indian aloo chaat with chopped onion, tomato julienne or pomegranate.